Many people love their cars and want to keep them in a protective environment. That is why many people go for the traditional garage. But a typical garage is not stylish, especially for your fancy sports car that cost you hundreds of thousands of dollars. 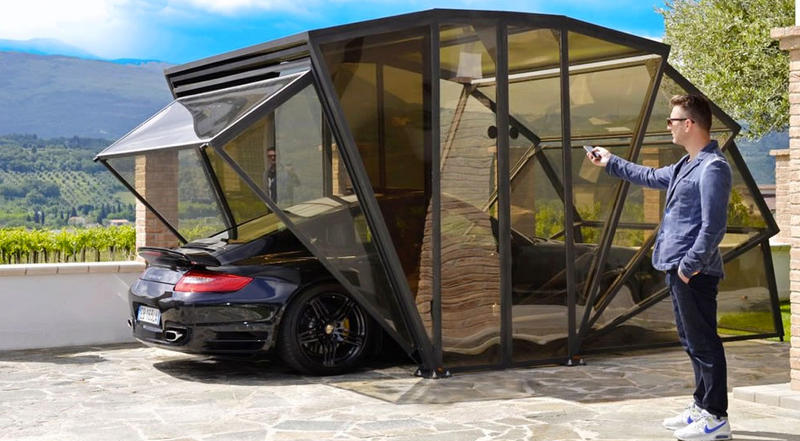 An Italian company came up with a solution for that, a retractable garage. The retractable garage is the perfect solution for those who want to show off their car while keeping it safe. With mostly retractable siding and roofing the retractable garage can be seen through from almost all angles. You don’t even have to close the doors all the way if you just want your car partially covered. 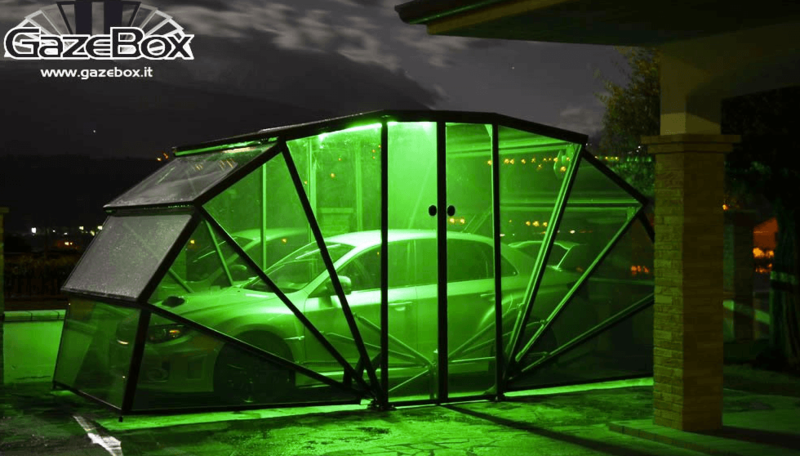 At night and in the evening there is LED lighting in the retractable garage to illuminate your car in the color of your choice. A remote controlled LED system can change to various colors. If transparent isn’t the right siding option for you, your retractable garage can feature carbon, wood, aluminum, or stone appearances. You can even have decals placed over it to add a camouflaged or deeper tint effect. 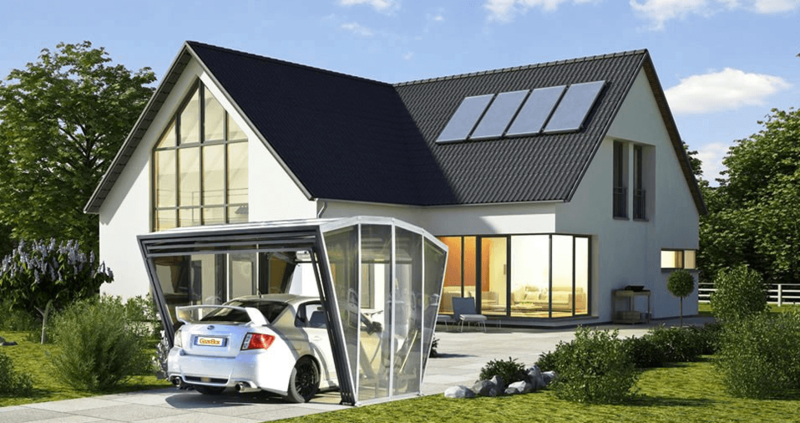 A retractable garage comes in five different sizes, ranging from s to XXL which they call XLL. The garage is best used for compact cars to mid-sized sedans. Anything else might have an issue fitting under the garage. The retractable garage isn’t just for your car though. It can also serve as a gazebo for eating outside with cover and protection from the elements. A fan makes the retractable garage feel more comfortable during the summer. If you want to change the look of your home or want to show off that car that you put so much money or time into than the retractable garage is the option for you. It can be customized to meet your needs and is secure against the environment and potential intruders. The product was designed and is made in Italy. That means if you want it in any other location you will have to pay shipping and handling on top of the product cost.